If there was anything in the world that we as a society take for granted, it has to be our ability to see color. Perhaps one of the most-oft discussed subjects in the world, color is a wonder of the human eye and brain, paired with visible electromagnetic radiation. Truly remarkable is our ability to see such different colors despite our reality of only seeing a truly small range of colors. In a world filled to the brim with diverse colors, it only makes sense that we get to have things that are in the color that most pleases us. 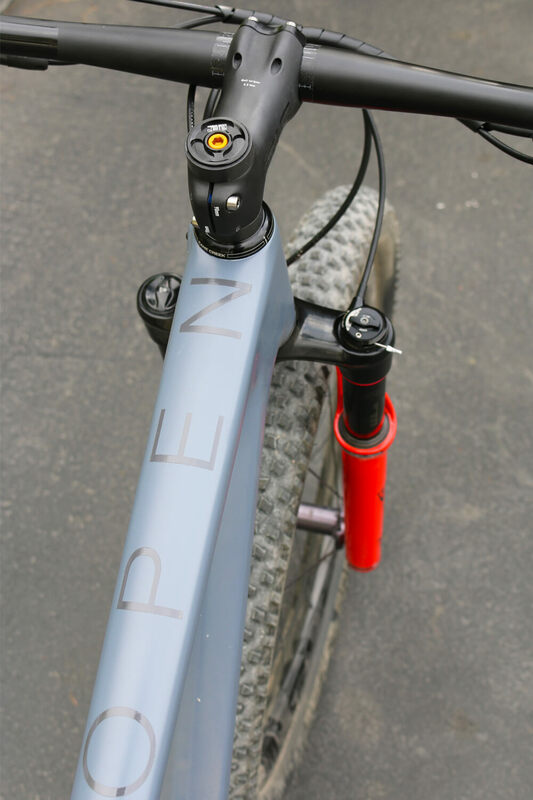 This custom painted OPEN ONE+ mountain bike is an excellent example of our custom paint program that gives us what we want the most. Compared to other possible color choices, the matte grey chosen here may not be the most impressive choice. It’s not even that far off the matte black the OPEN ONE+ generally comes with. However, paired to the specially-painted RockShox SID RLC fork, the grey begins to make much more sense. 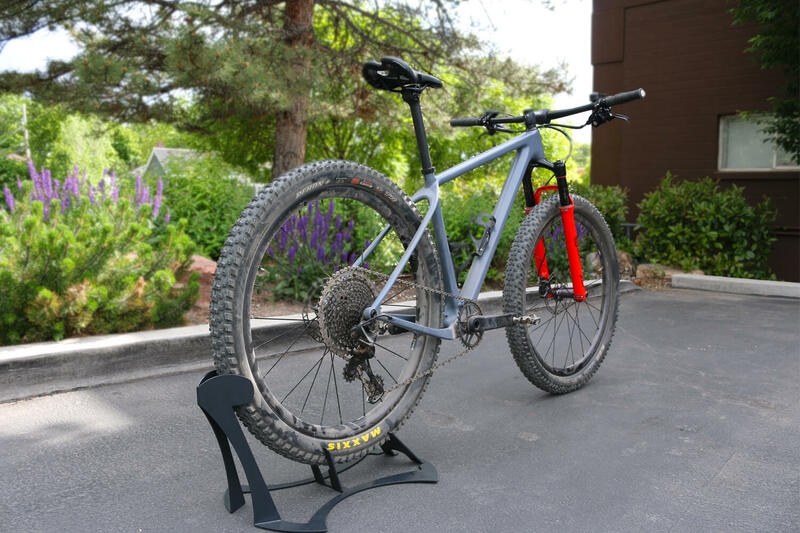 The orange lowers might look lost on any other colorful mountain bike, but this is the fork’s time to shine. Together, the frame and fork are a sight for sore eyes in a sea of drab colorways. The rest of this ONE+ build is about function over form. The SRAM XO1 Eagle groupset strays away from the flashier gold of SRAM XX1, the Mavic carbon wheels are nondescript and get the job done, and the ENVE Mountain cockpit and seatpost don’t draw any attention either. 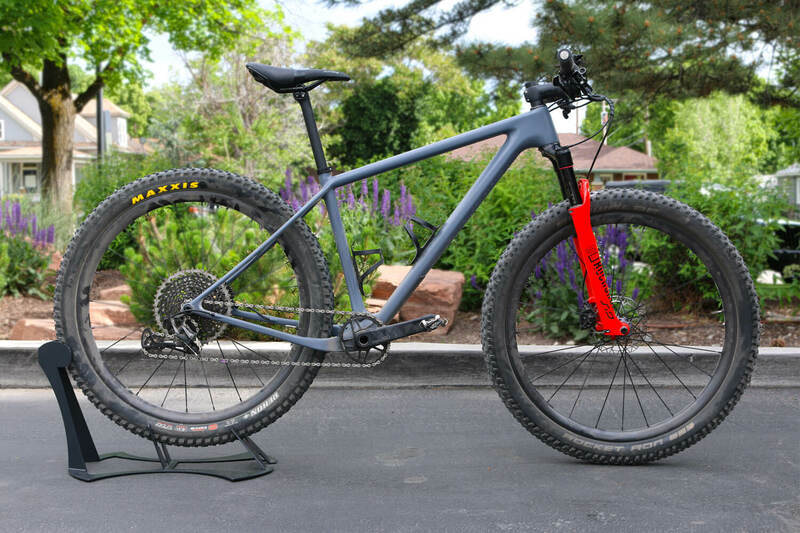 For reference, this build with 27.5 x 2.8″ tires weighs in at so and so pounds. Not bad. Few things are more fun than building your own custom bicycle. Choosing your paint scheme takes it up a notch, and makes for a bike that is truly as unique as its rider. With a wide array of paints in both gloss and matte, the color of you next bike is only limited to your imagination. 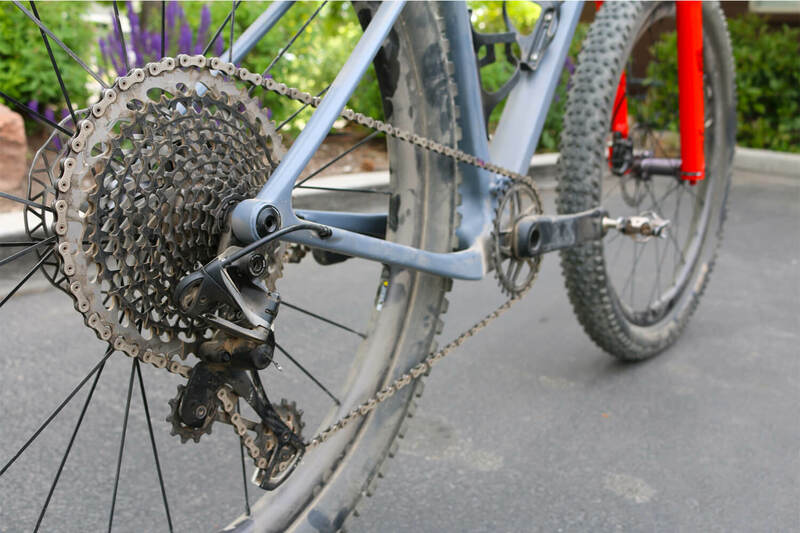 As always if you have any questions or want more information, drop us a line at info@contenderbicycles.com or by phone to 801.364.0344.